Boerne Air Conditioning Experts is your reliable local source for heater replacement in Helotes, TX and the nearby areas. We understand that heat replacement is often something you may want to try to put off for as long as possible. Having to replace an older heating system may not be the ideal situation to find yourself in, but it’s important to recognize it when it comes. If you continue to run a furnace or boiler on the verge of a breakdown, it may fail when you really need it, and it probably costs a lot to run anyway. Take note and check your heating system, or ask one of our technicians if heating replacement is the better option. Here are some common signs that it’s time to upgrade your heating system to a more efficient, reliable unit. One signal that heater replacement may be needed is if your system is continuously in need of expensive, and extensive, repairs. Let’s say a repair costs about half what you would pay for a brand-new system. Is it really worth the price? Your newly repaired heater system will have a new part in it. That new component is mismatched with the rest of the system, which may complicate its level of performance. The other components are bound to fail eventually, meaning you’ll need to replace the whole system sooner rather than later anyway. 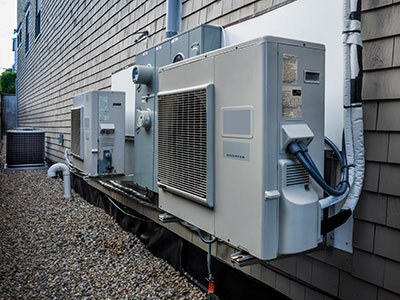 When a repair for an old heating system is going to be about half the price of a brand-new air conditioner, it’s time to reconsider. A brand-new heater is less likely to break down, and the parts run together cohesively for better overall performance. Additionally, if you have an older, inefficient heater, then it’s probably time to consider a replacement. Your older heating system may need frequent repairs, or it might just seem to be of much lower quality than it once was. Most furnaces are not projected to remain in good working condition for more than about 10-15 years. If yours has reached this point, it’s time to consider a replacement so you don’t have to worry about it breaking when you need it most. And, you have the opportunity to choose a more efficient heating system. Today, you can find furnaces inefficiencies so high, you may notice a dramatic drop in your bills. Finally, if you want to update your heating system, but you’re not sure you really need a brand new unit, then maybe it’s just the controls that need an update. You can keep your older system and update the thermostat only, so that you are able to monitor temperatures at all times and make an adjustment from an application on your smart phone, even if you are nowhere near your own home. 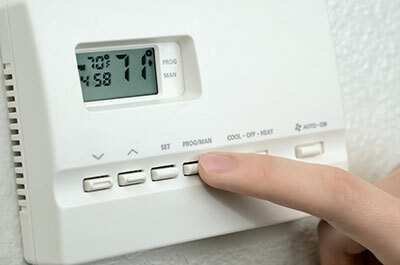 Smart thermostats are the newest trend in HVAC technology, and for good reason—but be sure to have a one of our professional heating technicians from Boerne Air Conditioning Experts install your new thermostat. We can also help you evaluate if your home may be better off going with a full heater replacement.